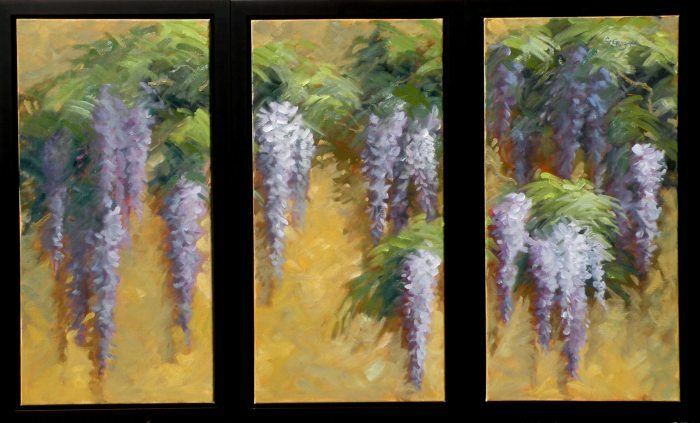 Christine Crozier's award winning landscapes, florals, and figurative work have attracted collectors throughout North America, Europe, and the South Pacific. Her work is distinguished by confident and expressive brushwork. 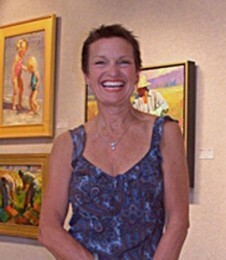 Christine has owned and run a decorative art company for over 30 years and began painting fine art oils in 1989. "Whether I am painting in the field or in the studio, I strive for a fresh, spontaneous look in my paintings. I build up oil washes, wet on wet, gradually working up to thicker paint and richer colors. Then, at the very last, I add the defining strokes that pull the painting into full focus. While my work is very loose, a focused view of the subject, as opposed to a panoramic view, helps me evoke the mood and emotion I wish to convey in my work."